Judi Dietz completed her Bachelor of Science in Education with a major in music. She taught as a woodwind specialist in Ohio for five years. She has also performed professionally on bassoon and contrabassoon in the Akron-Canton Symphony and the St. Joseph Symphony. Ms. Dietz completed additional studies for the diploma in Repair Service from Western Iowa Tech (WIT). She later earned a rating as a Master Clinician from the National Association of Band Instrument Repair Technicians (NAPBIRT) and is a certified Straubinger pad technician. 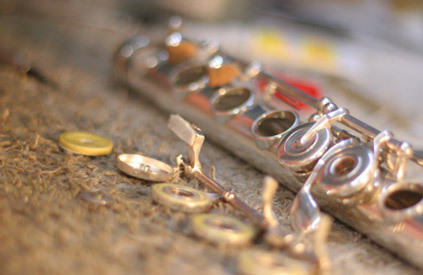 Ms. Dietz has been repairing instruments since 1981, providing her professional repair services to individuals from California to Broadway performers in New York. Her full-service repair shop in Leavenworth, KS includes a four-foot bed lathe, and a milling machine table, among other highly-specialized tools. She is especially proficient in crack pinning, tone hole and tenon replacements, and customizing.